The case is the last one pending in federal court in which the former governor is a named party. 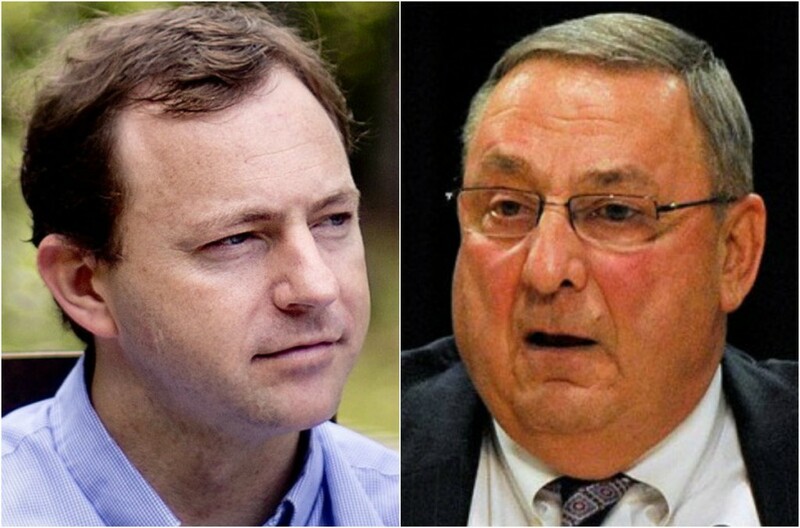 Paul LePage and Mark Eves are now both private citizens, but a federal lawsuit over a dispute from their time in office is still pending. The litigation dates back to 2015, when Eves was the House speaker and LePage was in his second term as governor. Eves accused LePage of abusing his office to prevent a private school from hiring him. The subsequent legal battle has been a test of the power of Maine’s chief executive. And it is still going, as the parties wait for a ruling on the latest appeal. The case is the last one pending in federal court in which the former governor is a named party. Now the court must decide if the end of LePage’s tenure should also bring an end to this lawsuit – and its related legal bills for the state. LePage’s lawyer has said the claims against him are no longer open for argument because his term is over. But attorney David Webbert, who represents Eves, has disagreed. Legal experts said the court has flexibility to decide what happens next. There is no timetable for the judges to decide the case. “Motions to dismiss for mootness are often completely within the discretion of the appellate court for how they wish to treat it,” said Jim Burke, a clinical professor at the University of Maine School of Law. The Republican governor and Democratic lawmaker clashed often in Augusta. Then in 2015, Eves was hired to be the next president of Good Will-Hinckley, which runs a charter school for at-risk students in Hinckley. But the school’s board rescinded the offer when LePage threatened to block state funding for the school if it hired his political adversary. Eves accused the governor of blackmailing the school and abusing the power of the executive office, and he filed a lawsuit in U.S. District Court in Portland in July 2015. He sued LePage in his individual and professional capacities. The Maine Attorney General’s Office approved LePage’s request to hire outside counsel to defend himself. The governor claimed his role as the state’s chief executive granted him immunity and that he is otherwise protected by his First Amendment free speech right. In May 2016, a federal judge agreed and dismissed the lawsuit. Eves appealed later that year. The parties argued their case in front of a three-judge panel at the 1st U.S. Circuit Court of Appeals in Boston. They also sided with LePage in November 2016. Eves then filed a request for “en banc” review, or a rehearing before the full court. In a highly unusual move, the judges agreed last year to do so. While they did not explain why they granted the request, they posed a series of questions to the lawyers. For example, they asked whether an “objectively reasonable governor” would realize he or she is infringing on an individual’s First Amendment rights by threatening to withhold state funds from a group that hired a person with different views than the governor on schools and education policy. The attorneys for both sides argued the case before the full court in April 2018 and have been waiting for a ruling ever since. Meanwhile, term limits kept both men from continuing in their elected positions. Eves served in the Maine Legislature through 2016. LePage could not seek re-election in 2018. Eves made an unsuccessful bid for the Democratic nomination to succeed him. Instead, Democratic former Attorney General Janet Mills was sworn in as the new governor on Jan. 2. A spokeswoman for Mills declined to comment on pending litigation. “Now that (LePage) is no longer Governor of Maine it would be impossible for any court to grant effective declaratory or injunctive relief against him,” Strawbridge wrote. Webbert filed a 14-page response on Jan. 14. Webbert argued in particular that the court should still issue a declaratory judgment, or a judgment on the legal rights of the parties involved. Eves also sued LePage in his personal capacity for unspecified monetary damages, a claim that is still pending as part of the lawsuit. If the appeals court judges tie, 3-3, a lower court ruling that dismissed the lawsuit would stand. Dmitry Bam, a professor and associate dean for academic affairs at the University of Maine School of Law, said he is not aware of any case law that clearly predicts the court’s ruling on declaratory relief. The judges could declare that claim to be moot and ignore the central questions in the lawsuit, or they could decide they want to establish the law by ruling on it. “Generally, it’s not an exception to say, it’s a really important or interesting issue, but they’ve left the door open to avoid mootness when they want to hear the case,” Bam said. While the Attorney General’s Office typically represents the state in legal matters, the governor can hire outside counsel instead. Financial records show the state paid $1.2 million to three firms that took many of those cases since 2014. The money comes from the General Fund, the risk management fund or the governor’s budget. The records were categorized by firm, not by individual case. The Boston firm where Strawbridge is a partner – Consovoy, McCarthy, Park PLLC – received more than $805,000 total from the state while LePage was in office. Strawbridge represented the governor or his administration in more than a half dozen different legal matters, starting with the Eves lawsuit. The Portland firm Roach Hewitt Ruprecht Sanchez & Bischoff received payments totaling nearly $240,000. That firm represented the governor in cases related to MaineCare and General Assistance. The state also paid more than $200,000 to the Auburn firm Skelton, Taintor & Abbot, which represented the governor in lawsuits he filed against Mills as attorney general. The Attorney General’s Office gave LePage permission to hire Strawbridge when Eves filed his lawsuit in 2015 and again when he appealed in 2016. Marc Malon, a spokesman for the office, said a new authorization would be required if the appeals court does not dismiss the case, although he did not say whether the state would hire Strawbridge again. As a former employee, the governor is still covered by the state’s self-insurance policy, so Maine would pay any future legal bills associated with this case. “The policy still applies to Paul LePage, as the litigation relates to actions he took while a state employee,” Malon wrote in an email. Two other cases in which LePage hired Strawbridge as outside counsel are still pending. One is an appeal related to federal funding for Riverview Psychiatric Center. Strawbridge said the state is still waiting for a decision from federal officials. The other is a lawsuit Mills filed during her tenure as attorney general against the Maine Department of Administrative and Financial Services because LePage was refusing to release nearly $5 million owed to her office for legal services provided to state agencies. That case has been stayed until next week, which could allow for the parties to come to a resolution, according to the clerk’s office at Kennebec County Superior Court. LePage did try to keep one lawsuit alive beyond his term in office. He sued Mills in October 2017, arguing that the then-attorney general abused her authority by joining a lawsuit in defense of protections for young undocumented immigrants. A judge sided with Mills, and LePage appealed to the Maine Supreme Judicial Court. In his final month in office, he filed a motion to keep the lawsuit alive even after Mills succeeded him. He argued the case should be decided by the court. Malon said that case has since been dismissed.